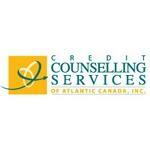 Credit Counselling Services of Atlantic Canada is a credit counselling and debt management agency in Saint John, NB. With offices located throughout Atlantic Canada, certified counsellors provide clients with financial guidance and debt relief programs. Established in 1994, Roland Gagnon is chairperson of CCSAC. Products Carried: Credit Counselling Services of Atlantic Canada is a registered non-profit debt couselling and debt management organization in Saint John, NB. Credit Counselling Services of Atlantic Canada provides confidential and professional help with credit card debt, budget counselling, debt management, and debt consolidation plans. CCSAC provides clients with the answers they need to make informed financial decisions on how to solve their debt problems.